E. Enter your mobile number. IMPORTANT: Remember to click the blue line of text right below the mobile number input field to change to your Country's code BEFORE you enter your mobile number. F. Click the blue button to send the verification code to your mobile number. G. Input the verification code sent to your mobile number. 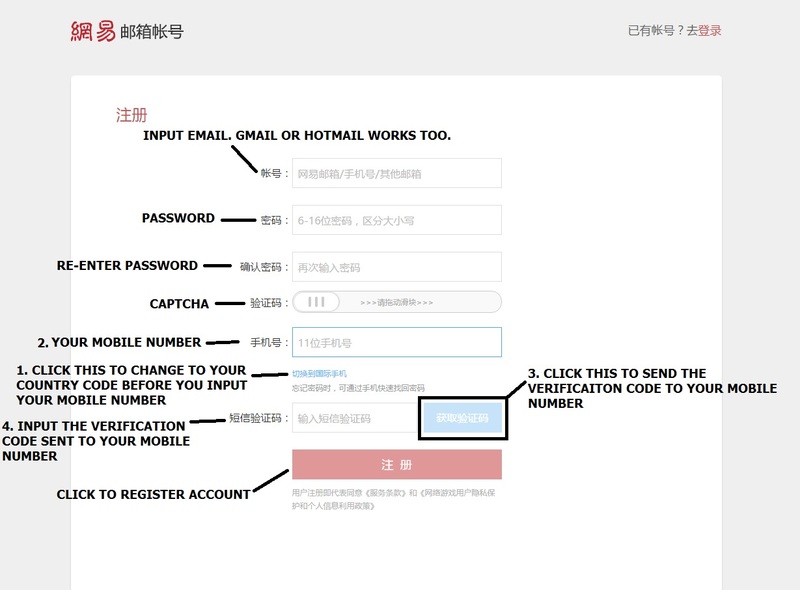 H. Click the red button to register account. 2. Log in the game. 3. Select a server. We are on 金玉满堂 server. It is recommended to use the HTTP download since Thunderbird download gives an extremely outdated client version. It is highly recommended to use a download accelerator such as IDM to speed up the download. Download all 8 parts and put them in the same folder. Note: DO NOT EXTRACT THE INDIVIDUAL FILES. 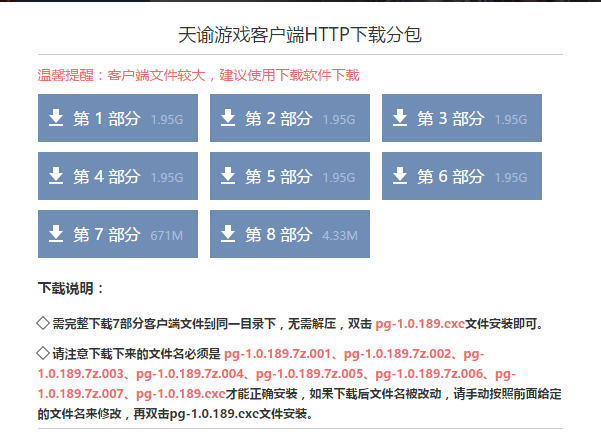 After all 8 parts are downloaded, run pg-1.0.189.exe. This program will extract and install everything nicely for you, that's why you don't need to extract anything.